I know that can't really ALL be my favorite but a lot of them can be favorites! 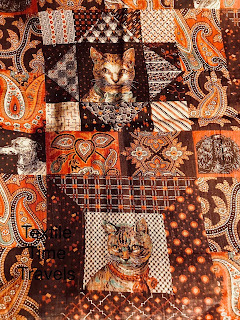 Gotta love this antique faux patchwork print (cheater cloth) with cats (and dogs) and wonderful madder orange paisleys. Part of my fun and educational antique quilt study class. And the maker of this solid center tumbling block star quilt from PA obviously really liked the fabric too. 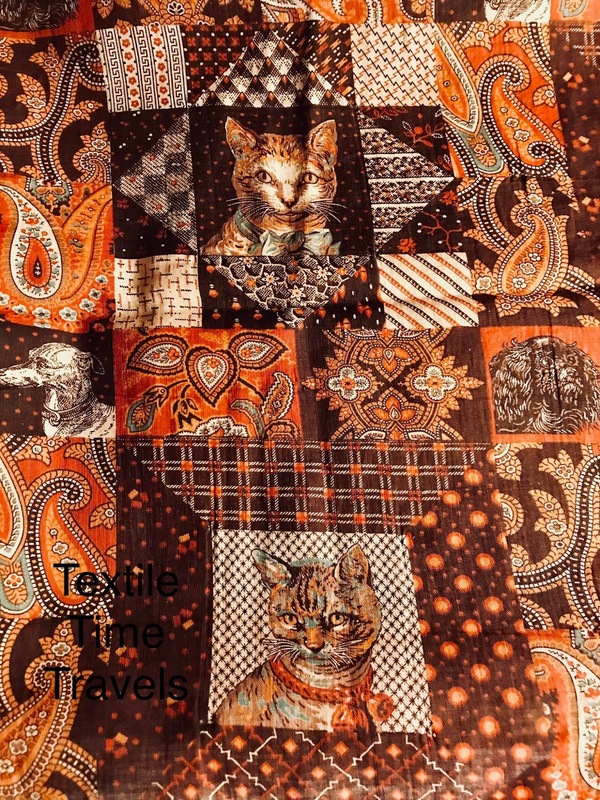 There are a lot of other novelty prints used in the quilt including a calendar print dated 1881 (more about that one at a later date- calendar humor). And greek keys and several cheeky cherubs like this guy. I must say it is one of my favorites too. I have just a small piece of the original, but the reproduction is pretty good too.